Most carp rods are about casting distance. 12 or 13 feet is normal. Carp rods are distinguished from surf rods and other 12 foot plus rods because carp rods are designed to throw smaller leads, typically 2 to 4 ounces. 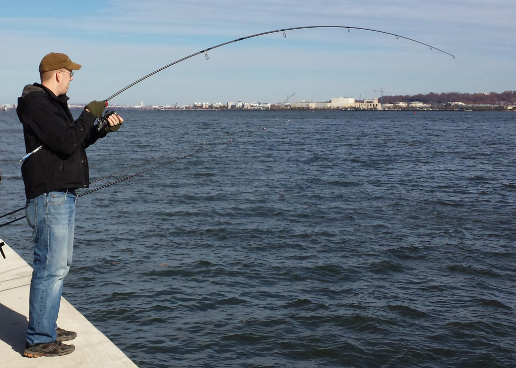 While most carp rods are designed for distance there are situations where 12 feet is just too much rod. 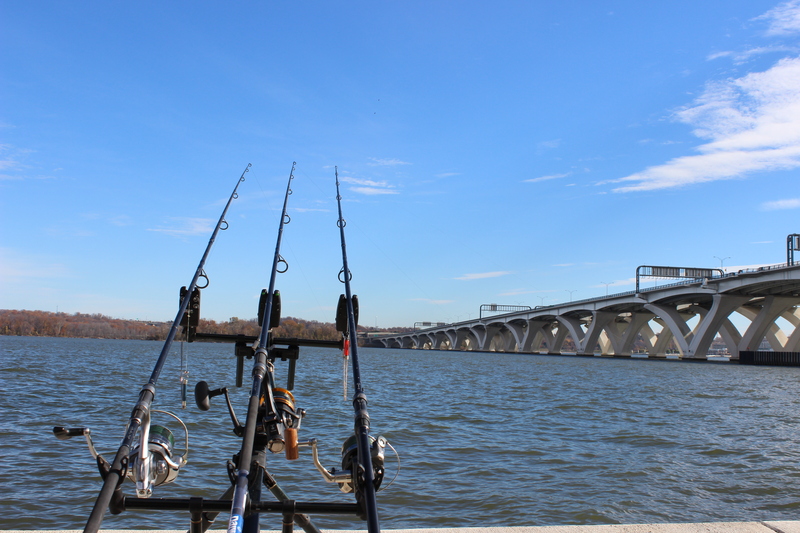 If you are fishing in tight cover or with over hanging branches then a shorter rod is necessary. A good carp rod should have a recommended maximum line weight of 15-20 lbs and should have a maximum lure of 1.5 to 4 ounces. For British rods a test curve of 2.75 to 3.5 lbs is normal. 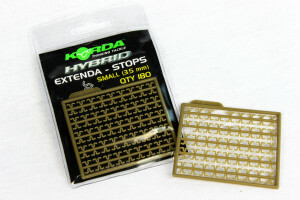 Carp reels need to have enough line to match the distance of your rod. Big pit reels (big diameter spools) help increase casting distances. Having a quick drag system or a baitrunner/bite-and-run drag systems is preferable. 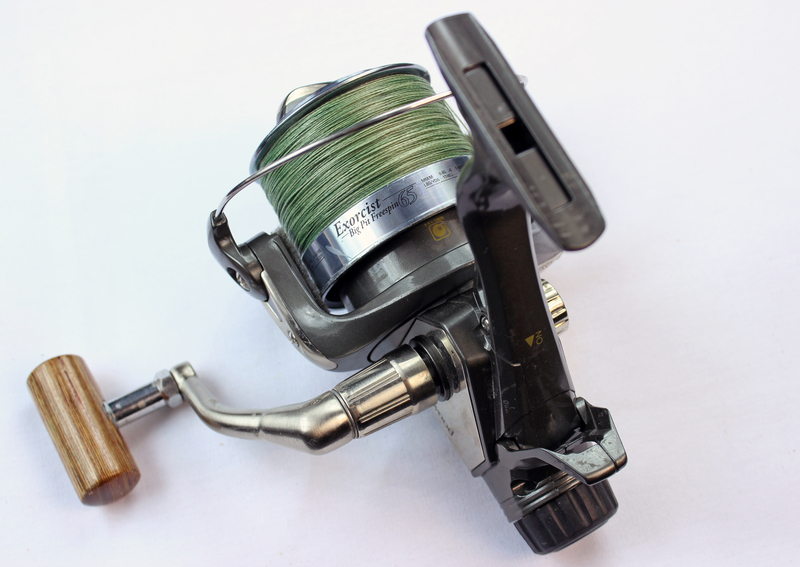 Wychwood Exorcist Big Pit, Bite and Run reel is a great long distance carp fishing reel. You want a reel with a strong smooth drag system that generates between 15 to 20 lbs of drag. A good gear ratio for quick retrieves is also nice. The vast majority of carp reels are spinning reels because bait casters don’t work well with bite alarms. If you want to use bite alarms you will need bank sticks or rod pods. 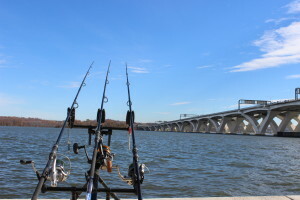 You probably want a rod pod if you will be fishing on concrete, wood or rock. If you can drive a bank stick into the ground then I prefer bank sticks. Chumming is a major part of carp fishing. When chumming your biggest issue is how to get your chum where you want it. You can throw it by hand, paddle it out with a canoe or kayak, sling shot it out, use a PVA bag, boilie throwing stick, spod or spomb. Accuracy and distance are the biggest factors with these different systems. Most carp fishing rigs involve using a hair. A hair is when you connect you bait to your hook via a string. Hairs are fabulous for tricking wary carp and getting a solid hook in the bottom lip. If you use a hair rig you need a baiting needle to threat your bait onto the hair and a stop to prevent the bait from coming off the hair. 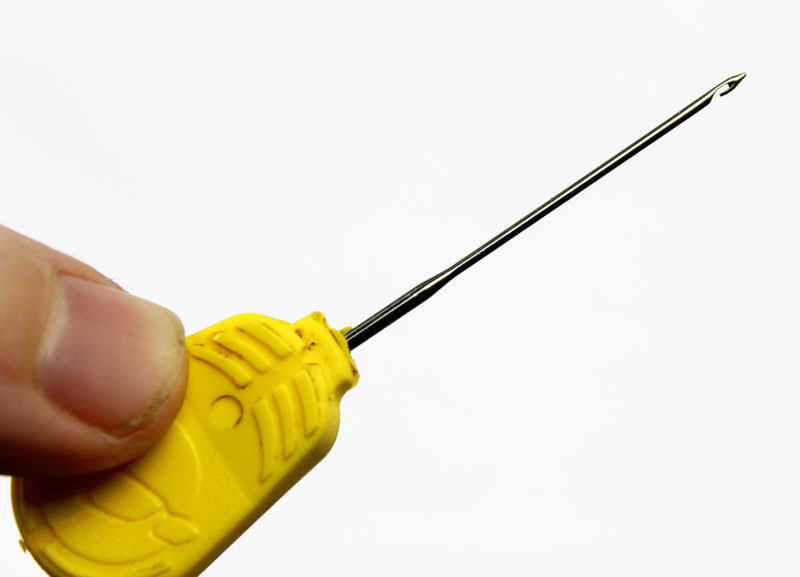 A baiting needle is essential carp equipment. Three carp rod on a rod pod with bite alarms. Bite alarms are great for allowing you to detect subtle takes, positive bites, lined fish and for catching some sleep between fish during night fishing. The higher end the bite alarm the more features such as: sensitivity, tone and volume control, wireless receiver, anti theft alarm and direction specific tones. 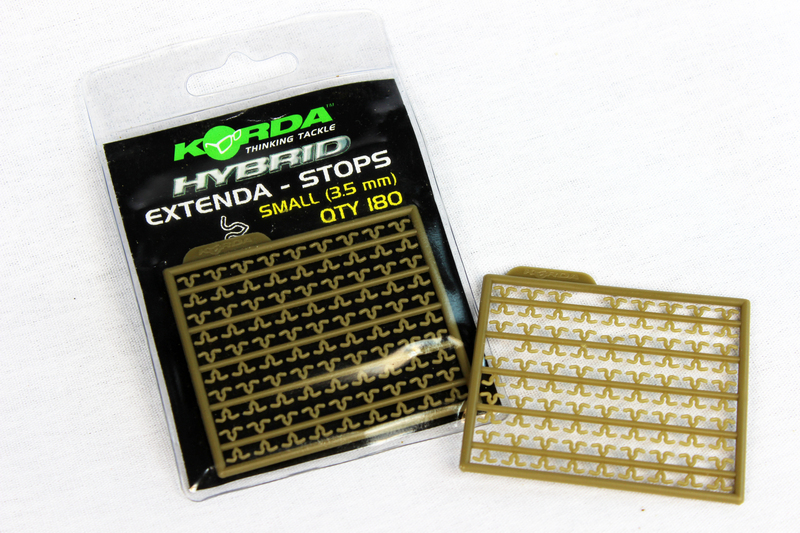 Bite alarms are one of the funnest pieces of carp equipment you will buy. My Fox Warrior S Landing Net. 6′ handle and 42″ mouth. I use every inch of it landing big carp. A large, portable net with micro mess is essential for carp care and landing these large carp without damage to their scales. 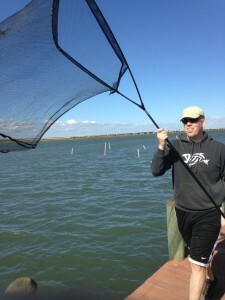 A carp sack or large keep net is great for storing fish until you are ready for your photo opt. Fish bodies are not designed to be out of the water laying on gravel. An unhooking mat or cradle is key to prevent injury to a large fish while it is out of the water.